In this tutorial, you’ll see first-hand how similar these languages are and how simple it is to convert Swift to Kotlin by porting an iOS app to Android. Mobile devices are your everyday companions: You bring them in your backpack and pockets nearly everywhere you go. Technology continues to tailor to your mobile devices, making mobile development increasingly more prevalent as a hobby and profession. Often, a developer will choose one platform for which to develop, the most common being Android or iOS. This choice is often guided by one’s resources (e.g., her or his personal device) or circumstance. 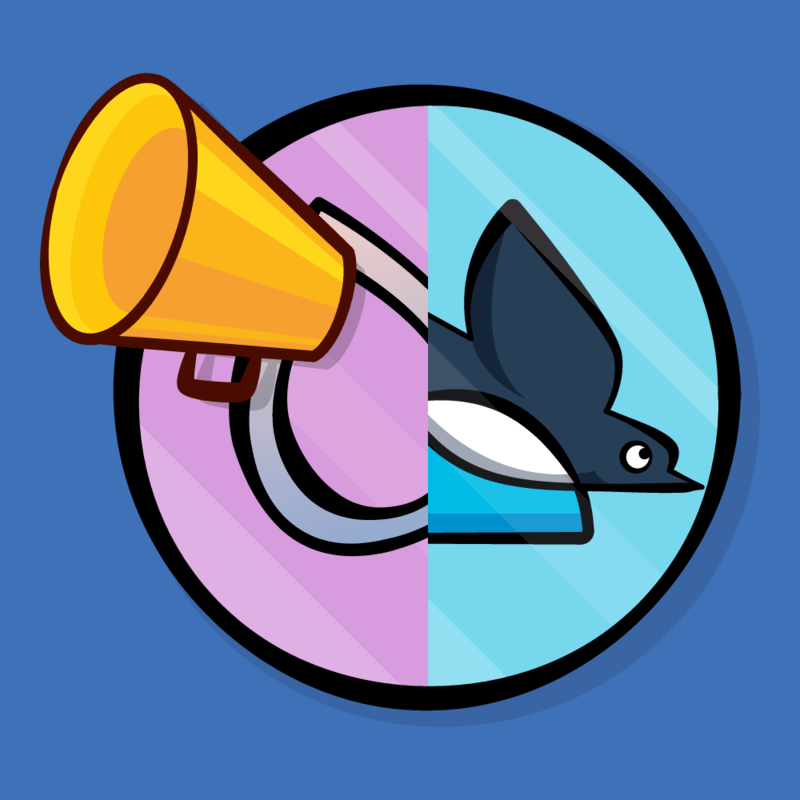 Many developers tend to stick to building exclusively for their one chosen platform. Android and iOS engineers have historically worked with quite different languages and IDEs, making crossover between developing for both platforms daunting and rare, despite all the similarities between the two mobile platforms. But languages and tooling for Android and iOS development have improved immensely over just the past few years — primarily the emergence of Kotlin and Swift, two expressive languages that have eased the barrier between cross-platform learning. After mastering the language fundamentals, code can easily be translated from Swift to Kotlin. 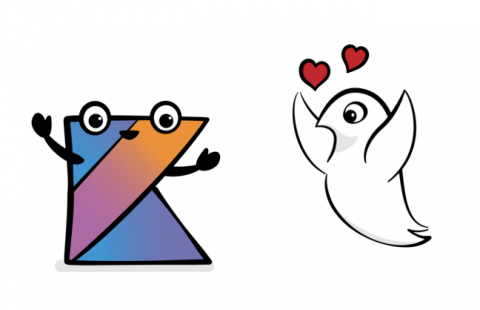 In this tutorial, you’ll see first-hand how similar these languages are and how simple it is to translate Swift to Kotlin. First, using Xcode, you will explore an iOS app written in Swift, then you will re-write the same app in Kotlin using Android Studio. Note: Some familiarity of Swift and iOS fundamentals or Kotlin and Android fundamentals is helpful for completing this tutorial. You can catch up on Swift for iOS in these tutorials or Kotlin on Android here. Download the starter projects for this tutorial using the Download materials button at the top or bottom of this tutorial. Open the iOS sample app final project in Xcode and run it in the iPhonesimulator. The app will prompt you to log in. 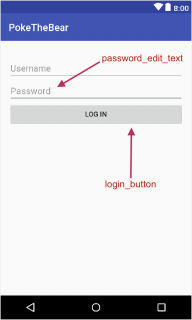 Log in to the app using any username and a password that is at least six characters long. The password should contain at least one numeric character. Now, you’ll focus on the two ViewControllers for the architecture of this simple app, one for each of your interactive screens. Locate these controllers in the project. 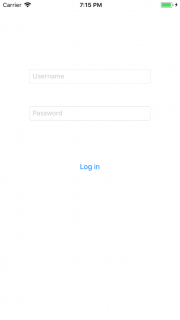 The app launches the LoginViewController first, which holds the TextField and Button UI components defined in the Main.storyboard. Also, note that the LoginViewController contains two helper functions for validating the password, as well as two helper functions for displaying invalid password errors. These are two of the Swift functions that you’ll re-write in Kotlin. The BearViewController also references UI components defined in the shared Main.storyboard. Often, in iOS development, each ViewController will have separate storyboard views. In this tutorial, you’ll focus on the ViewController logic components rather than the UI. 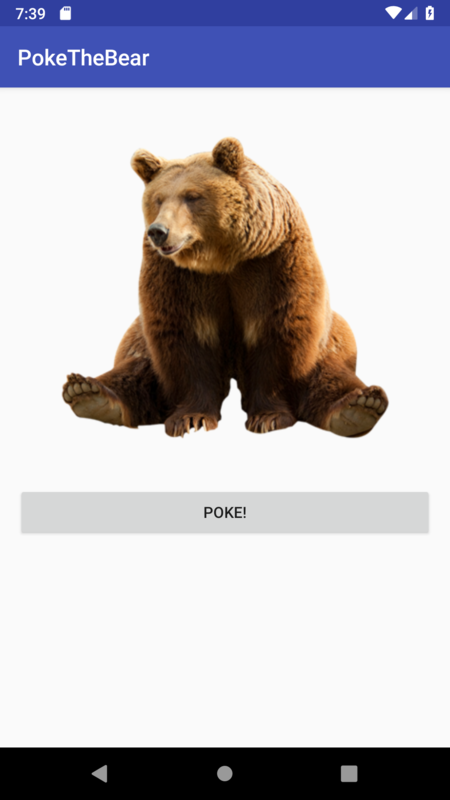 In the BearViewController, you keep a reference to a variable called tapCount that updates every time you tap your pokeButton, triggering the different bear states. 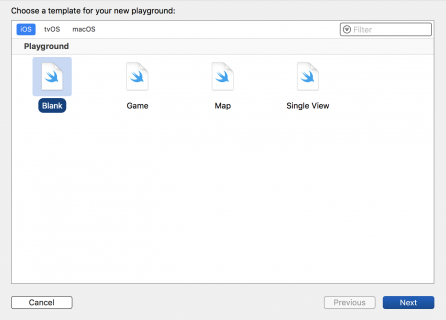 Now that you have a general overview of the app, take a technical detour and dive into some language specifics using playgrounds. 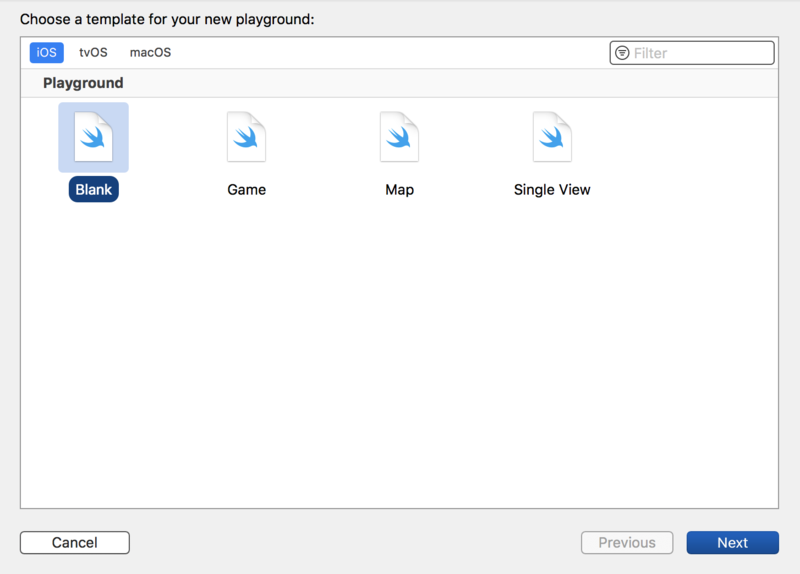 For Swift, create a new Blank playground in Xcode using File ▸ New ▸ Playground… and then it’s time to write some code! Swift uses var and let to define variables, two prefixes that define mutability. You can only define variables declared with let once, which is why you see the compiler error, whereas var variables can change during runtime. var hello: String? = "world"
let hey: String = "world"
By adding these type signatures to the two variables, you’ve made hello a nullable String, signified by the ? in String?, while hey is a non-null String. Nullable variables are called Optional in Swift. Why is this detail important? Null values often cause pesky crashes in apps, especially when your source of data isn’t always defined within the client (e.g., if you are expecting a value from the server, and it doesn’t come back). Having simple prefixes such as let and var allow you to have a built-in, on-the-fly check that prevents the program from compiling when the values can be null. See this related tutorial about functional programming in Swift for more information. But what about Android? Nullability is often cited as one of the biggest pain points of Android development in Java. NPEs — or Null Pointer Exceptions — are frequently the cause of program crashes due to the poor handling of null values. In Java, the best you can do is to use the @NonNull or @Nullable support annotations to warn of nullable values. However, these warnings don’t prevent you from compiling and shipping your apps. Fortunately, Kotlin is here to save the day! See this introduction to Kotlin for more information. val hey: String = "world"
Now that you changed let to val, you have Kotlin code! This is saying the same thing you saw in the Swift playground. Just like let, you cannot reassign val. First-class list manipulation is another extremely powerful feature of Swift. If you want to double all the values in an integer array, you simply call mapon the array and multiply each value by two. Paste this code in the Swift playground. Change let to val again as you did in the previous example. Change the way you declare your array of integers by using listOf() instead of square brackets. Change $0 to reference the value inside the map function to it.$0 represents the first element of a closure in Swift; in Kotlin, you use the reserved keyword it in a lambda. This is so much better than manually having to loop through an array one value at a time to multiply all the integer values by two! Open the starter Android app in Android Studio 3.1.4 or higher. Again, you can find this by clicking the Download materials button at the top of bottom of this tutorial. You can open the project by going to File ▸ New ▸ Import Project, and selecting the root folder of the starter project. This project is a bit more bare bones than the completed iOS app — but not to fear! 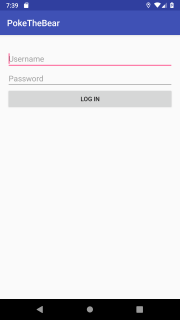 This tutorial will guide you through building the Android version of the app! Open the app ▸ java ▸ com.raywenderlich.pokethebear ▸ LoginActivity.kt file in the Android project. This mirrors your LoginViewController in the iOS project. 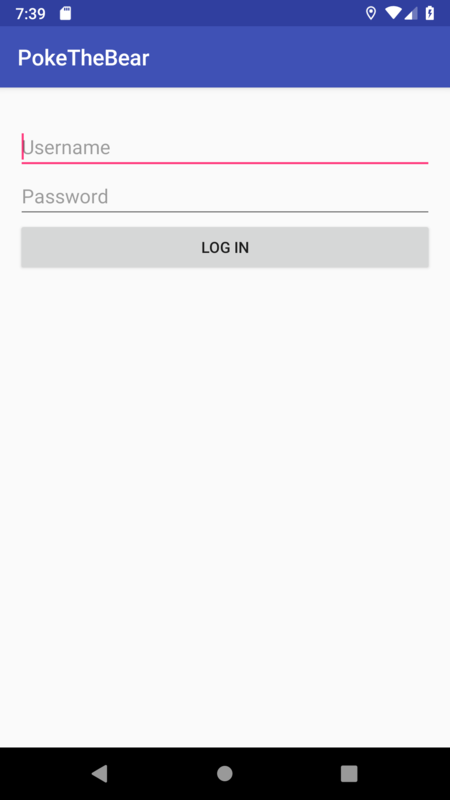 The Android starter project has an XML layout file corresponding to this activity so take a peek at the app ▸ res ▸ layout ▸ activity_login.xml to reference the views you’ll use here, namely the login_button and password_edit_text. As you previously did in your playground, you change let to val for the immutable declaration of the return value. For the function declaration, drop the ‘c’ from func and have some fun! You declare Kotlin methods using fun rather than func. The return value of the function in Kotlin is denoted by a colon : rather than a lambda symbol->. Also, in Kotlin a boolean is called Boolean instead of Bool. To have a closed Range in Kotlin, you need to use two dots instead of 3, so "0"..."9" changes to "0".."9". Just as you did with the map example in the playground, you also have to convert $0 to it. Also, convert it to a String for the contains comparison in Kotlin. Finally, you do a little cleanup in Kotlin with the return statement. Instead of using ! to negate an empty check, you simply use the Kotlin String function isNotEmpty. Now, the code syntax is changed from Swift to Kotlin. string = instead of string:. Note that the string = param label is not required in Kotlin. It helps with keeping the similarity between both languages for this tutorial. In practice, labels are a wonderful detail that Kotlin included to make default function parameters reachable from Java code. Read up more on @JvmOverloads functions here to learn more about default params! 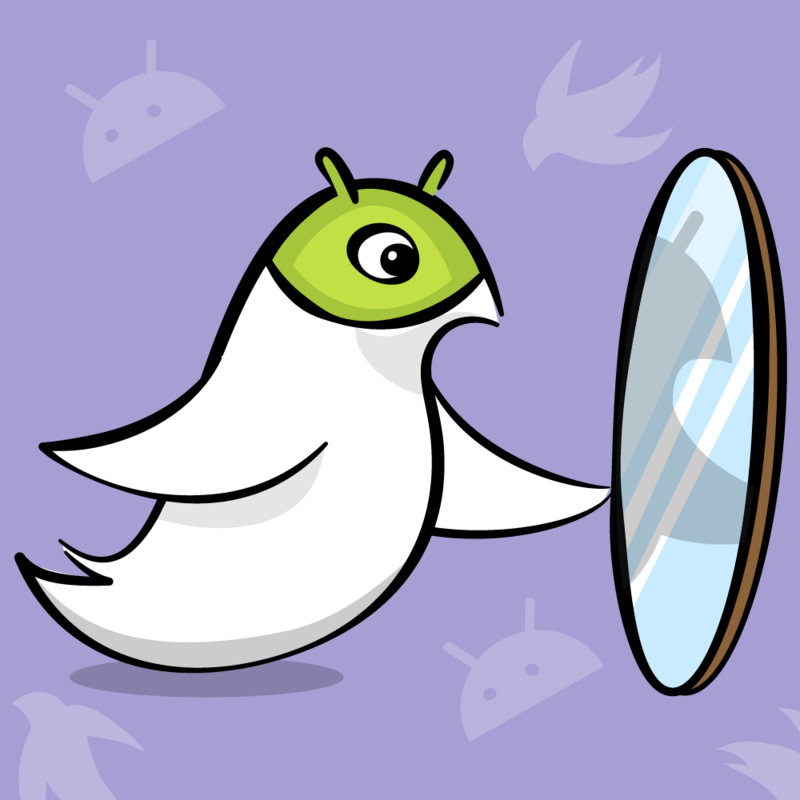 Copy the showLengthError and showInvalidError functions over from the LoginViewController in the iOS project to the body of the LoginActivity class in the Android project. Now that you have written the validation and error display functions, put it all together by implementing your loginButtonClicked function! An interesting difference to note between Android and iOS is that your Android view is created and set explicitly in your first lifecycle callback, onCreate(), whereas your Main.storyboard in the iOS app is implicitly linked in Swift. 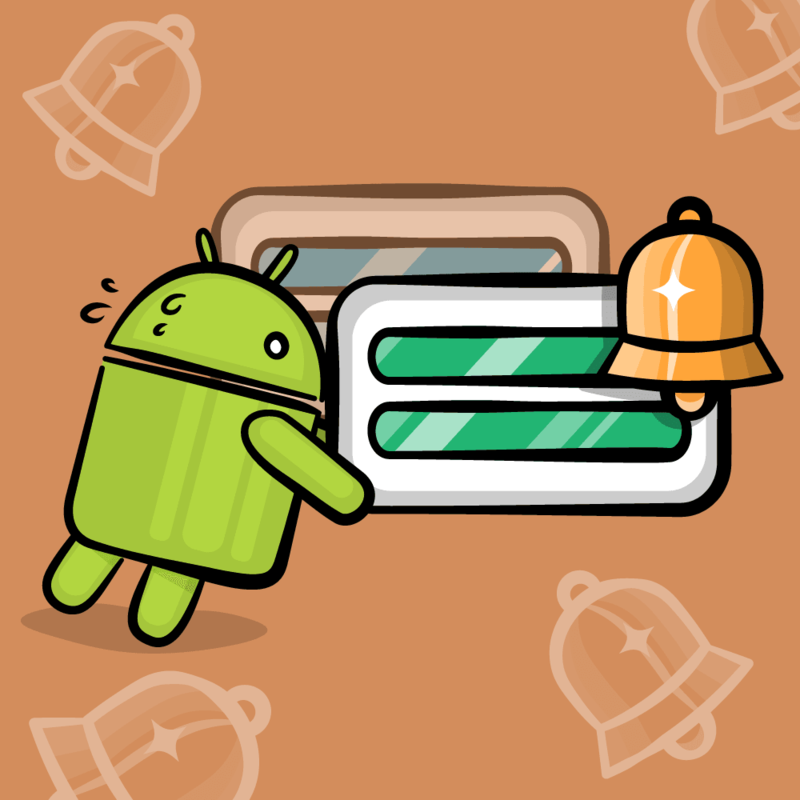 You can learn more about the Android lifecycle in this tutorial here. 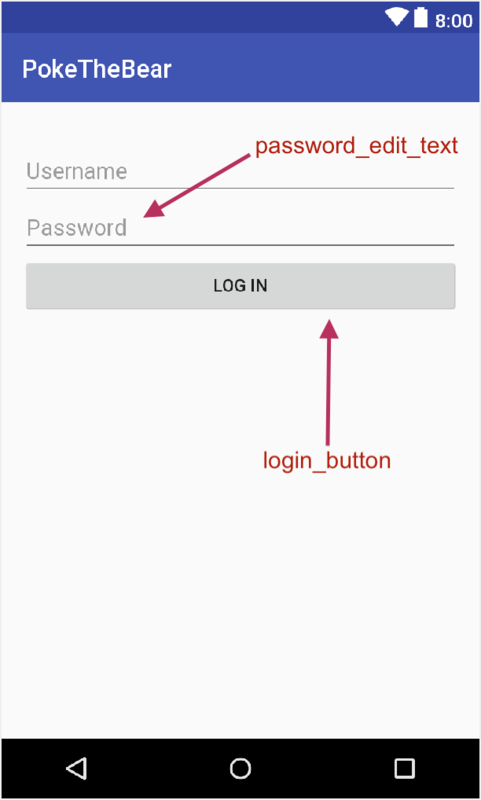 Here is the loginButtonTapped function from the iOS project. let passwordInput = passwordEditText.text ?? "" Copy and paste the body of the loginButtonTapped function from the iOS project into the body of the loginButtonClicked function in the Android project and make the small changes you have now mastered to change the syntax from Swift to Kotlin. Two differences here are the method of extracting the string from the EditText and the means of displaying the new activity. You use the statement this.password_edit_text.text.toString() to get the text from the passwordInput view. Then, make a call to the startActivity function passing in an Intent to launch the BearActivity activity. The rest should be pretty straightforward. Your LoginActivity is now done. Build and run the app in Android Studio to see your first implemented activity displayed on a device or in the emulator. Enter any string value for the username and play around with valid and invalid password combinations to ensure that your error dialogs show as expected. 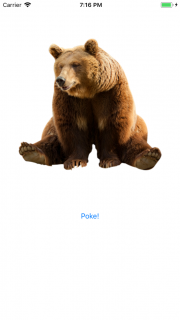 A successful login in will reveal the bear screen, which you’ll implement right now! 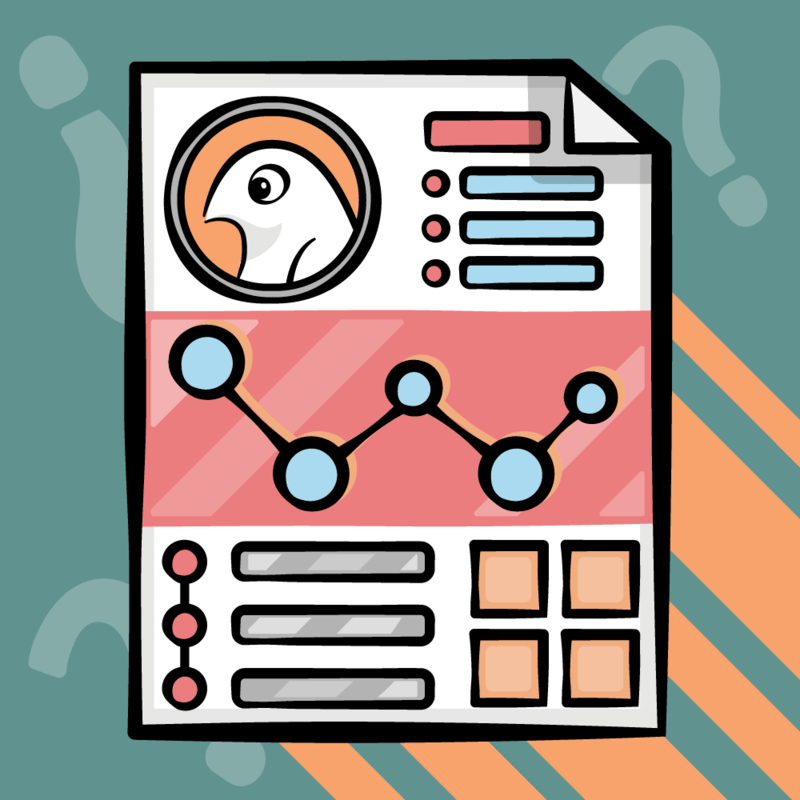 Call the setImageDrawable function to set the image resource for the bear_image_view to the bear5.png drawable resource, which is already included in the project in the app ▸ res ▸ drawable folder. Then call the setBackgroundColor function to set the bear_container view’s background to your predefined color resource, R.color.red. Change the isHidden property to be visibility instead to toggle your button’s visibility to View.INVISIBLE. Perhaps the least intuitive change to the code you made is re-writing the DispatchQueue action, but have no fear! Android’s sister to asyncAfter is a simple postDelayed action that you set on the view bear_container. Bonus: This if/else ladder can easily be replaced with more expressive control-flow statements, like a switch, or when in Kotlin. Try it out if you'd like to simplify the logic. Now all the functions have been ported from the iOS app and translated from Swift to Kotlin. Build and Run the app on a device or in the emulator to give it a go and you can now visit your furry friend behind the Login screen. Download the fully finished projects using the Download materials button at the top or bottom of this tutorial to see how it went. If you’re a Swift developer or new to Kotlin in Android, check out the official Kotlin docs to go more in depth with the languages. You already know how to run the Kotlin playground to try out snippets, and there are runnable code widgets written right into the docs. If you are already a Kotlin developer, try writing an app in Swift. We hope that you have enjoyed this tutorial on how to convert your iOS app written in Swift to Kotlin creating a whole new Android app. We also hope you continue to explore both languages and both platforms. If you have any questions or comments, please join us the forum discussion below!